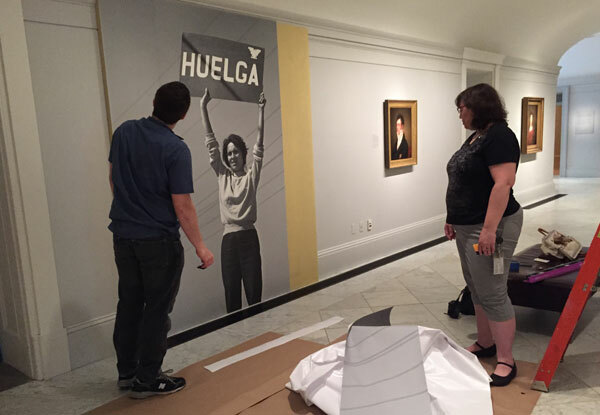 The National Portrait Gallery opened One Life: Dolores Huerta on July 3. 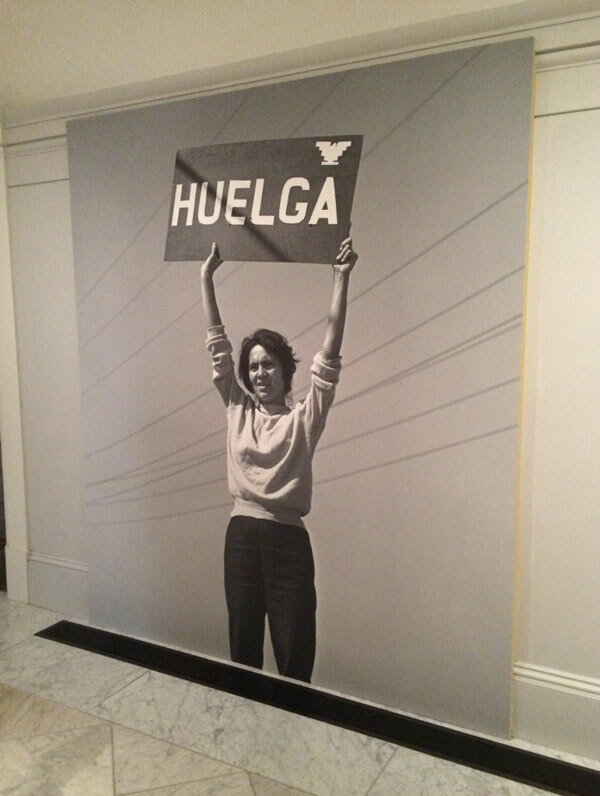 Huerta was a founder of the United Farm Workers and served as the organization’s lobbyist and contracts negotiator. OEC printed and installed the large mural featured at the entrance to the exhibit, using LexJet Print-N-Stick Fabric. To accommodate the size of the graphic, OEC printed it in three pieces and installed it on-site. 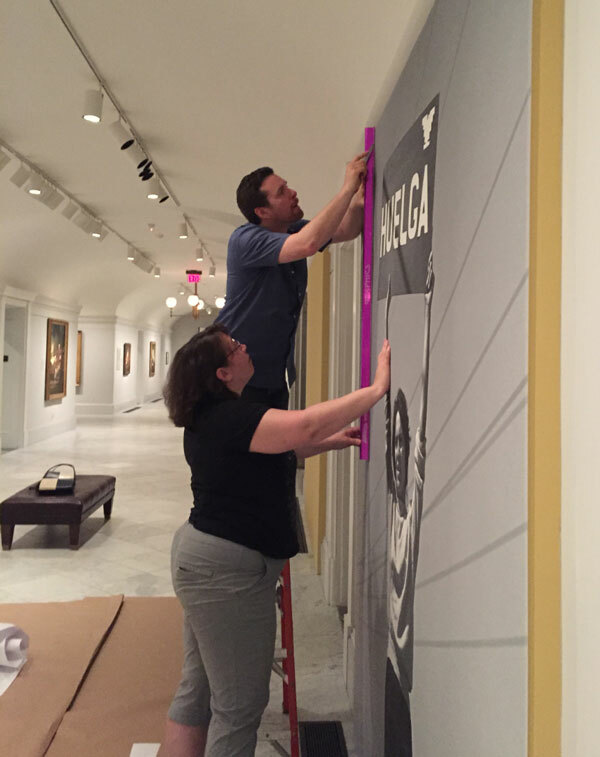 Graphic specialists Evan Keeling and Jessica Schick examine the seam between the first two panels of the mural. Evan lines up the third panel. After tacking the edges together, Evan and Jessica begin to remove the backing from the print. 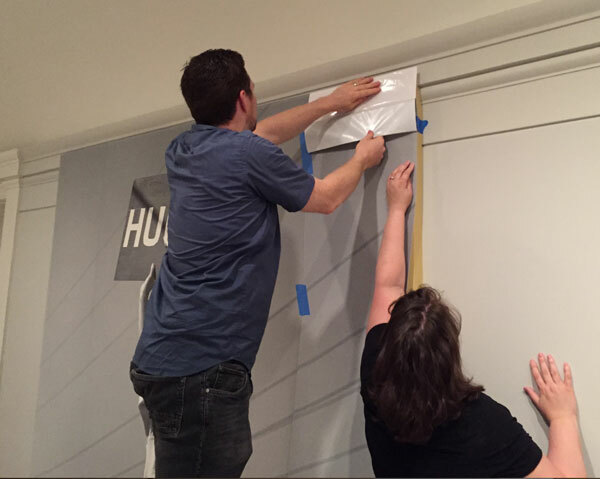 Evan and Jessica trim excess material from the overlapping edges. 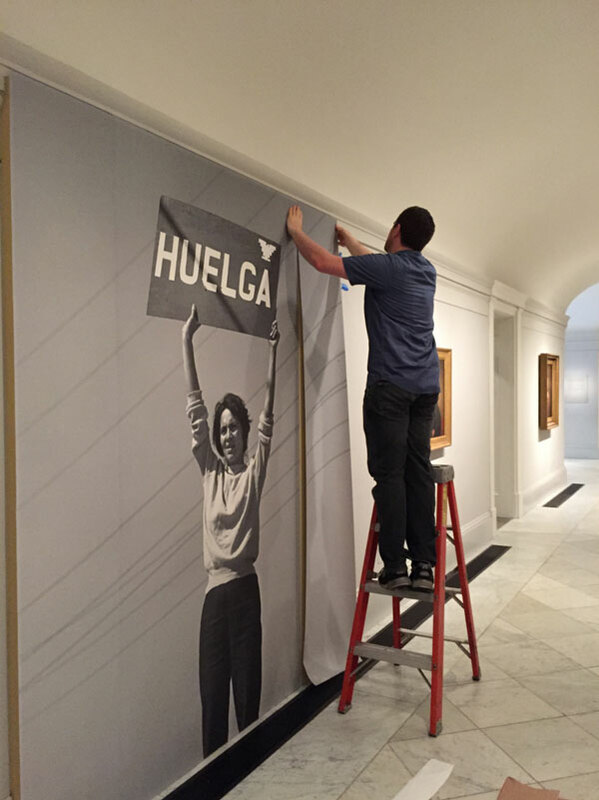 One Life: Dolores Huerta is open through May 15, 2016.